As for me, i’m also a die hard fan of this band, way back in 1996 when this band was first introduce to me via Alternative Rock Show at THR hosted by Kamil Othman. Please do not get confused by other band also name Butterfingers. It was while jamming in Kuala Lumpur during 1993 at Black Widow Studios that they bumped into Emmett, who was there jamming (as a guitarist) with his band at that time, Grunge Dayz . Impressed with what he saw, Loque challenged Emmett to a ‘jamming showdown’, after which they mutually decided to join skills and creativity, to form their own band. 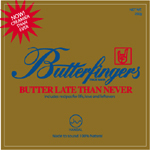 After meeting up with drummer Kalai later that year, Butterfingers was officially born by the end of 1993. And with the final line up of Loque (songwriter, guitarist), Emmett (vocals, guitar, strings and lyricist), Kadak (bass) and Kalai (drums), Butterfingers hit the underground gig scene with such vengeance that had most of their shows sold out and described today as ‘the stuff of underground legends’. 1.2 mg was released in 1996 to a reasonably strong and rapidly growing fanbase, (owing to the massive reputation the band had achieved during their years in the underground scene) with Nirvana-esque tunes, much like Silverchair was with their early albums. The band was evidently very much influenced by the Seattle scene which at that time was dying away after the death of Kurt Cobain, and the evolution of Pearl Jam into a more melodic, diverse and less angst-ridden band, among other things. The Malaysian youth however, were far from over with grunge and received 1.2 mg very well. The following year’s release of their second album Butter Worth Pushful strengthened their following with more intricate, but still grungy, tunes. 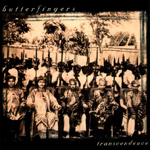 It was however, the 1999 album Transcendence, which showcased massive songwriting potential, that brought Butterfingers to the peak of their popularity. With hit songs The Chemistry (Between Us) and Epitome, Transcendence sold over 50 000 units, which was an admirable feat for an English-singing Malaysian band at a time when such bands were still by and large almost automatically considered inferior to American and British imports. 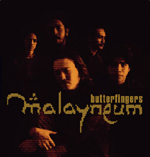 After the success of Transcendence and the release of Butter Late Than Never, a collection of old live tracks and outtakes with some previously unreleased songs, Butterfingers recorded Malayneum, an epic album showcasing some of the most impressive material in Malaysian music history that won rave reviews from critics. In many ways, it fulfilled the potential that was evident in Transcendence and acts as a testament of how mature the band had become at that point. The fans however, responded less favourably, evident by decreased sales of the album, hugely due the fact that they were still in desire for three-chord, angst-ridden, grungy material. This was something the band wasn’t willing to continue producing at the expense of musical growth and maturity. The band once remarked how they felt that while they have grown past grunge strictly as a musical genre, the fans have not. Nonetheless Malayneum is a landmark album for the Malaysian music scene simply because of its quality and originality. 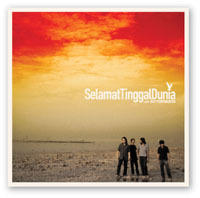 After a greatest hits album in early 2003, the band started working on the Malay language album Selamat Tinggal Dunia which was released in 2004. By this time many Malaysian bands singing in Malay were selling very well, owing much to the popularity of Indonesian indie bands in the country. In fact some bands who previously sang in English, such as OAG, perhaps realising the commercial potential, switched to Malay. Rock music in Malaysia was also under significant challenge from the hiphop scene with the emergence of groups such as Too Phat and Teh Tarik Crew who attained huge commercial success and popularity among the youth of the country. 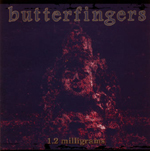 Some sections of the Butterfingers’ fanbase were slightly suspicious of the band’s motives for recording a Malay album but once again they were defiant and demonstrated faith in their own visions of what they intended to produced. Selamat Tinggal Dunia proved to be surprisingly original and any concerns of Butterfingers ‘selling out’ were put to rest with its release. The album brought a new dimension to Malay rock with a mixture of controlled raw-ness and mature musical arrangements which was never meant to sell as well as the Malay or Indonesian bands that sang easy listening ballads which some critics have claimed to be lacking in depth. 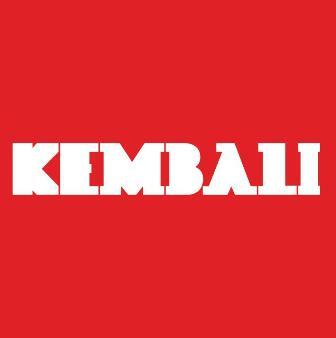 Even the words Emmett used on the album were ‘alien’, borrowing many terms associated with the Malaysian royalty. In interviews the band have said that this was a conscious move on their part to explore new grounds within Malay language music which they felt was becoming all too predictable. Emmett left for Canada to further his education before the release of Selamat Tinggal Dunia and there were rumours of Butterfingers breaking up or melting away (helped by the title of the record itself which can be directly translated as Goodbye World) but the band themselves have maintained that there is no real cause for such fears as they plan to continue working together as often and as best as they can. No matter the future outcome for Butterfingers, they have ridden the unique challenges as artists in Malaysia and most definitely stamped their mark as Malaysian music legends. 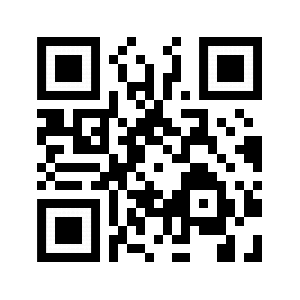 P/S- Buy ori… Stop piracy..